But hey, this is our first one, so let's give it a try. AnimSchool Beta Classes -- Call for beta students! UPDATE! THE BETA CLASSES ARE FULL! Hi. We will be running two beta classes in October-November to test the AnimSchool system. We are accepting 12 beta applicants for the 3D Animation class and 12 for the 3D Character class, which will focus on modeling. We are looking for people who know a little about these subjects but want to interact with a Blue Sky Studios teacher for four weeks and try out the system. There is a $50 charge to test the payment processing system and pay the teachers a little for their time. Classes will begin about October 25, in the evening EDT and continue once a week for 4 weeks. Beta testers will be expected to devote about 10 hours per week to completing assignments. They can be of varied experience levels, but all testers should be familiar with Maya (or Softimage). Please include a link to any 3D animation/modeling/rigging work you have done. See the AnimSchool FAQ for more about the school. We at AnimSchool are here to help people in the 3D field improve at their craft. AnimSchool consists of dozens of super-talented animators, modeler, and riggers, ready to review your work and make suggestions. Many AnimSchool instructors review the animations. "For about four films, I supervised the aesthetic and performance aspects of character models and rigs at Blue Sky Studios, where I worked for nearly 11 years as an animator, rigger, and Character Development Supervisor. I often know how to make bad models and shapes good, and good ones great. I'm even pickier about facial expressions. And I'm a solid film animator too. Being an animator helped me to change them to make appealing, emoting, expressive animation. And my fellow animator/bloggers know pretty well about animation too!" just like the ones you see here. Periodically, we will choose one of our readers' entries to review and make suggestions, or edit and infuse more appeal! For models, we hand it back to you for free. You retain all rights, but we will make a blog post about the changes --post pictures and/or video but not the actual file-- and why we felt the new version is more appealing. By submitting the art, you grant us the right to show it and our Makeover version in our AnimSchool promotional material. To enter, send an email to us (below) with your entry. I'm in the middle of modeling this character, Marnie, for AnimSchool. I decided to start from the geo of our other main character, Malcolm. I figured it would be a tricky task and that's definitely been the case. This is not done yet, by far but I thought you might want to see the process. I designed this girl as a female character for the school. I don't even have the body designed yet, but I was anxious to get started on the face. So, from here, read backwards starting at the bottom of this post! There is still much work to do on her face, but it is starting to look nice with the hair temp-ed in. There is a tug of war trying to hit the art exactly because it is cheated side to side. When I drew it, I unknowingly introduced inconsistencies from left to right. If you make one side match up perfectly, the other side is way off. So there is a compromise of forms. So, she's not done! Not nearly as nice as the drawing. I will show you the next steps. Total time spent: 1 1/2 days. Fine tweaking of the lips and cheeks. Shoulders. Adding eyelashes. I started to get to a place where she was looking nice. In a way that's bad because it means my eye is running out of ideas. To take it to the next level, I need to bring along some of the other elements. She needs to look more feminine. I have her some lipstick and fit the eyes in there. I got past the ugly stage. I added rows to get the hard turns on the lip to keep form. 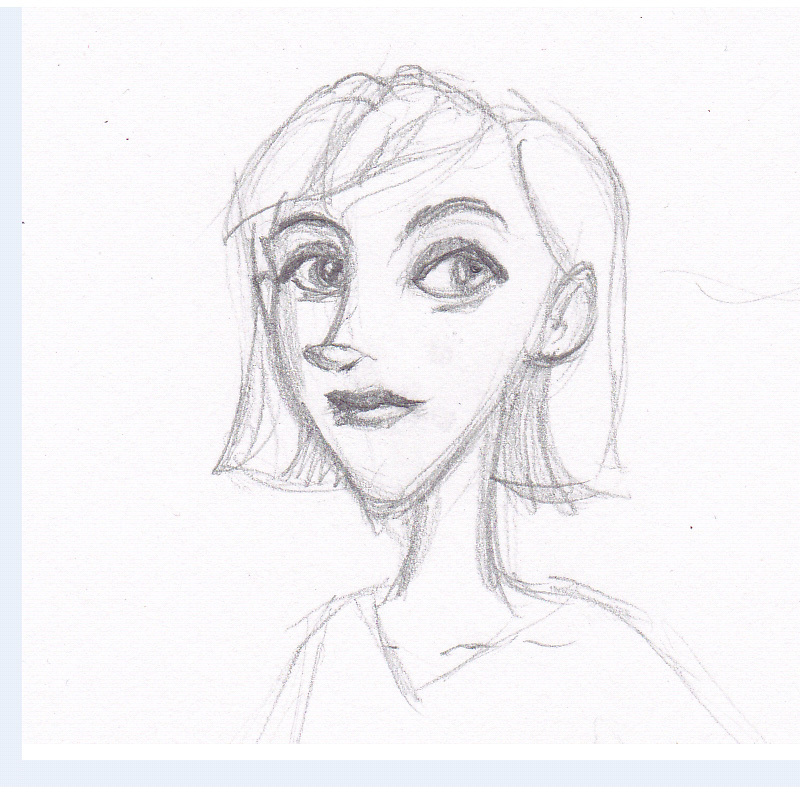 I worked on the nose to get a dainty round upturned edge, like the drawing. Wow, ugly! As I pushed the geo closer to the drawing, it strained the topology. (On the left, see the edges pulling together in places and how much cleaner and grid-like the later one on the right.) So I started rerouting the cheek, mouth, and especially forehead/brows area, connecting the rows that are more aligned so polys aren't shearing. On the right image (above) the geo flows more evenly. I removed some rows around the eyelid so I could get the right shape quicker. I can add detail back in later. I placed two pictures of the design in my scene, one to the left to be referenced always. And one exactly overlaid on the head, as a texture on a card, toward the back of the skull. I saved a camera position and would always return to this to evaluate. I set a hotkey to swap immediately between the drawing and the geo. So I couldn't see both at the same time, but I could switch fast enough that it shows what needs to move. This is better than solely looking to the side. (This is being modeled in Softimage.) I started to shove things around in symmetry modeling mode, with Proportional Editing on, constantly changing falloff distance. Wow, did he/she look ugly for a few hours! A: AnimSchool is the new online school for the broader world of 3D animation! We offer two 21-month certificate programs. 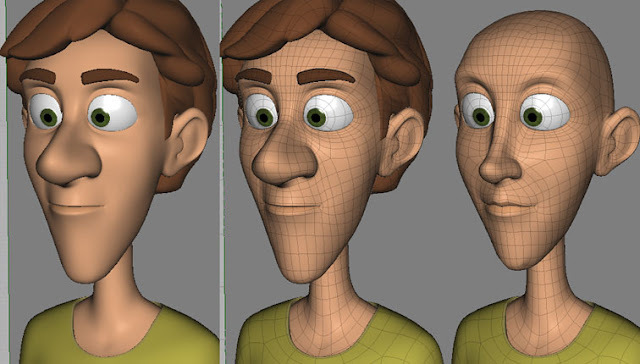 The "3D Character" program teaches modeling and rigging. The "3D Animation" program teaches animation. Both programs teach a broad skill set. Q: Who are the people behind AnimSchool? A: Over 30 instructors now working at Blue Sky Studios, Pixar, and other studios are teaching and lecturing at AnimSchool, from the modeling, rigging, and animation departments. They teach at AnimSchool after hours. AnimSchool's founder is David Gallagher, former Character Development Supervisor at Blue Sky Studios, animator, modeler, and rigger. Q: Who is AnimSchool for? A: AnimSchool is for new students who want to learn the core skills involved in high-end 3D animation: 1. making 3D characters, and 2. making them move and act. It's also for working 3D animators and modelers/riggers who need a boost in their career, and just want to take select classes from senior and supervisor-level teachers. A: Prospective students need to be 18 or older, be a High School graduate or equivalent, have a working knowledge of English, and show aptitude and eagerness to complete the program of study. Students must have a working knowledge of computers, Windows or Mac. Students should be familiar with Autodesk Maya or Softimage or another high-end 3D package. They also need to have access to high-speed internet for class time. Q: How long are the terms? A: Each term is 11 weeks. There are four terms per year. Each program lasts 7 terms. Q: How often are the classes held? A: Classes are held one day each week, Monday-Saturday. Student can sign up for the particular teacher and class time that works best for them. For the class-listing, visit www.animschool.com soon. Q: How long is the class time? A: The classes are scheduled for 2.5 hours to allow time to review each student's work. Half of the students' work is reviewed, then the teacher gives a lecture, followed by a review of the other students' work. This way, a student is able to devote less than two hours for class, but may also stay for the entire session. In addition, teachers are available for "Office Hours" a few days later to offer additional help as needed. This system allows for maximum face-time with the teachers. Q: How are the classes conducted? A: Classes are held in your web browser at animschool.com, using exciting web-conferencing technology that allows the teacher and all students in class to see and talk to each other. During lectures, teachers enlarge only their video stream and switch between their web camera and desktop to explain concepts. Q: Are there video lectures? A: Each course offers videos either showing an animator/modeler/rigger doing the current assignment or explaining curriculum concepts. However, the most important learning comes from having the student's work reviewed live by the best 3D animation professionals. Q: Can students pick their teachers? A: Yes! Students can choose which teacher to take their classes from. The more popular classes will fill first, so sign up early. Q: Can working animators just take individual classes? A: Yes! For students who don't need to enter a full 21-month program, they can sign up for individual classes to give them a needed boost in their career. Q: How big are the class sizes? A: Classes are kept small to allow for comfortable interaction and maximum face-to-face time with the teacher. Usually 12 students or fewer. Q: When will classes begin? Q:When will the animschool.com website be available? A: We plan on launching www.animschool.com November 8th. Q: What time of day will the classes be offered? A: Classes are designed to fit around the work schedules of the working teachers, and tend to be in the hours between 7-12 in the evening in the U.S. time zones, and on Saturdays. We will support Europe-friendly times by holding some classes on Saturday, and some midday U.S. time. Q: Do entering students have to start at a particular term? Q: Will AnimSchool classes be held in other languages? Q: Which 3D software packages does AnimSchool use? A: We support Autodesk Maya and Autodesk Softimage. 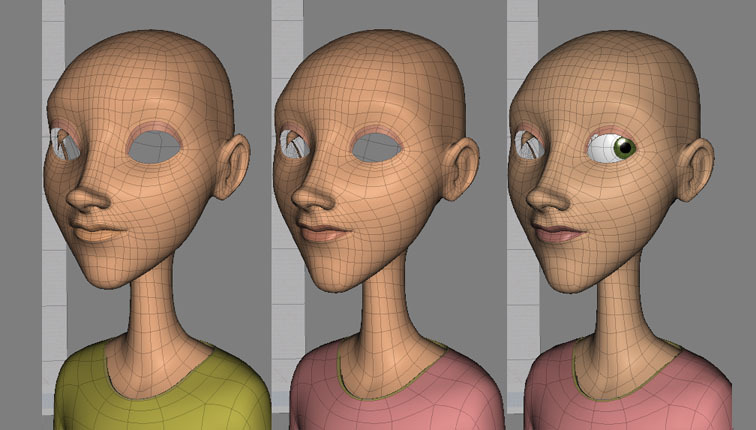 Any high-end 3D software may be used, but AnimSchool provides characters, examples, and instruction using those two. 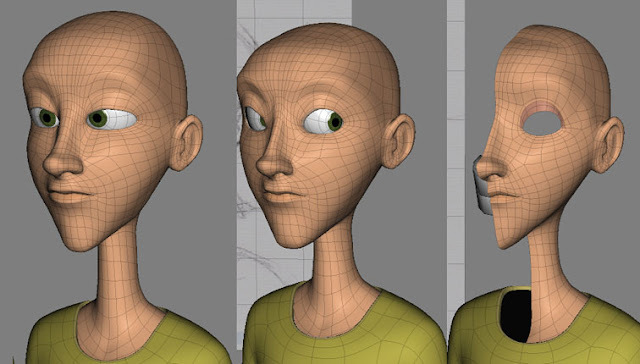 Q: Do 3D Animation students make their own character rigs? 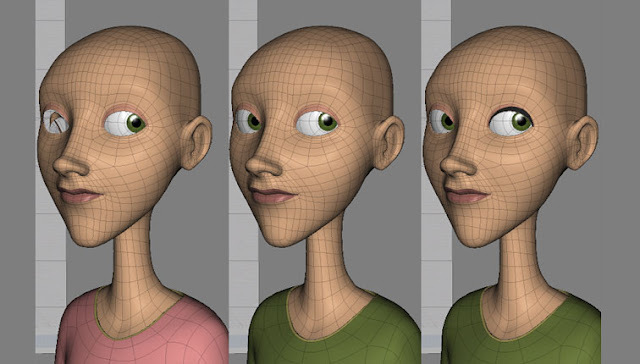 A: AnimSchool provides exceptional character rigs for animators to use for each assignment. However, 3D Animation students also learn how to make characters on a simple-level, to give them a broader education and greater facility at their eventual place of employment. 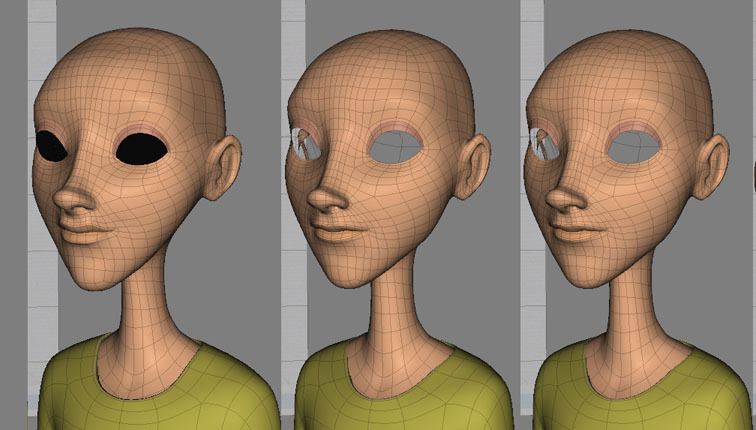 Q: Do 3D Character (modeling&rigging) students have to learn technical things like scripting? A: 3D Character students can focus on the aesthetic or the technical side of those skills. The 3D Character curriculum includes, but doesn't require, advanced scripting. 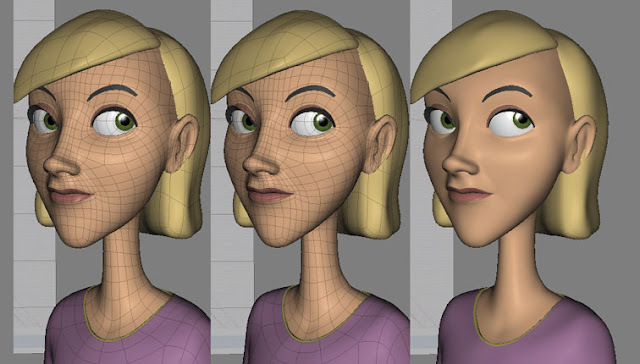 Q: Does AnimSchool offer student discounts for the 3D software? A: Yes. For students enrolled in a program, they are eligible to buy Autodesk Maya and Softimage at student discount rates. Q: What makes AnimSchool different from other schools? A: 1. AnimSchool is the premiere online school devoted to teaching the broad range of 3D animation skills. And we plan to offer additional programs in the field of 3D animation in the future. 2. 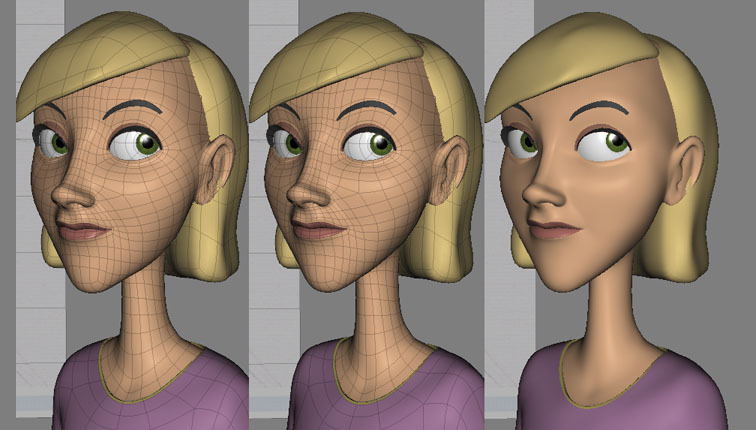 At AnimSchool, we are passionate about great 3D characters! Appealing, convincing characters are at the heart of AnimSchool. Q: How many students will be accepted per term? Q: What jobs will a certificate at AnimSchool prepare the student for? A: AnimSchool students will be qualifying to find employment as a 3D animator, 3D modeler, rigger (character TD), 3D artist, 3D generalist in the feature film, visual FX, television broadcast, video gaming, advertising, and web industries. Q: How much does AnimSchool cost? Q: Are there other costs involved? A: Students are also responsible for purchasing or having access to: computer, headphones, microphone, web camera, educational-discounted 3D software, and textbooks. Q: Does AnimSchool offer financial aid? Q: What is the Easy-Pay program. A: The Easy-Pay program is a way to spread out the cost of tuition to bring the (per-month) cost down to $350 per month. Over 30 months, students take three one-term breaks from classes, during which they continue to access the AnimSchool website and improve their skills, but aren't enrolled in classes. Each month during these breaks as well as three months before and five months after classes, students make 36 total payments. Note that completing an AnimSchool program this way takes 30 months, nine months longer than the usual 21 months. Q: What is the contact information for AnimSchool? Q: Is AnimSchool registered as a school? Thanks Dave! Well, I am originally from Venezuela and came to the states when I was 10. And ever since I can remember I have been pursuing the illusion of life. With my bachelor's in Animation and my time at Animation Mentor, I got the job at Blue Sky Studios where I worked on Ice Age 3: Dawn of the Dinosaurs and upcoming Rio. I have not only had the pleasure on working with Dave, but these past two years I've also had the chance to bounce ideas and thoughts about over all appeal and how to achieve it . And like Dave, I believe that 3D animation has ways to go to reach that amazing quality that traditional 2D has, but I do think we are getting close. We will talk about our views and ideas on 3D animation and how it can reach its maximum appeal on characters and performances. so enjoy! Welcome to the new 3D Appeal Blog, where we talk about 3D Animation and what makes characters and performances appealing. We are sponsored by AnimSchool.com, the new online school for the broader world of 3D Animation! A following post will be about the school. We begin with 2 bloggers: first is me, Dave Gallagher, former Character Development Supervisor at Blue Sky Studios, where I worked for almost 11 years. I was a proficient generalist overseeing modeling and rigging aesthetic quality and animating shots. I'm convinced 3D Animation has a ways to go before it matches the appeal of my favorite 2D animation, which is anything in the Milt Kahl flavor. I left Blue Sky Studios - with some reluctance - to follow an even greater entrepreneurial dream of making an online school to teach 3D animation with a generalist approach. A school as obsessed about appealing characters as I am! Our next blogger is JP Sans. A fantastic animator at Blue Sky Studios, JP teaches at AnimSchool and is a super nice, talented guy. We have similar ideas about appeal in animation. I will let him introduce himself next!